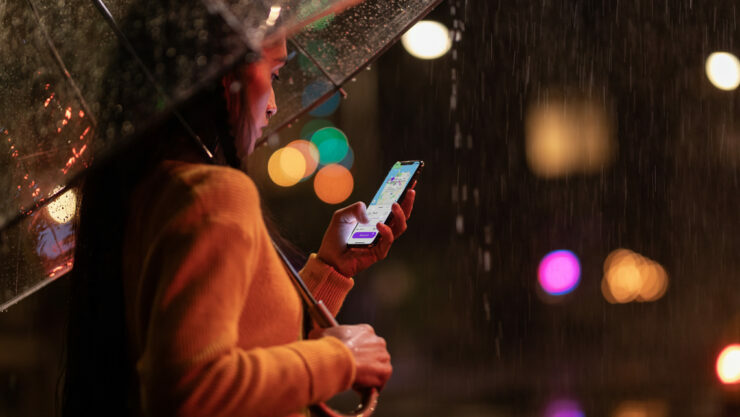 Apple has upgraded several features and introduced new hardware with the 2018 iPhone XS and iPhone XS Max. The most important of these is perhaps a brand new chipset manufactured on TSMC’s 7nm node. The Apple A12 builds on the company’s successes with the A11 and hopefully eliminates throttling as well. To get an idea of the chip’s performance, we’ve got a lot of benchmarks today. Take a look below to find out more. GeekBench and Antutu scores for the Apple A12 have made rounds recently. Both have demonstrated gains and the SoC’s Antutu score is higher due to its impressive GPU performance. The Apple A12 scores 363,535 points in Antutu beating the A11 and the competition. Of course, comparisons of a 7nm chip with 10nm chips aren’t very valid, but it goes to show how much has changed over the course of a year. The good folks over at Tomsguide have carried out their own set of tests on both the iPhone XS and iPhone XS Max. These tests confirm pretty much all benchmark scores for the Apple A12 that have surfaced so far. 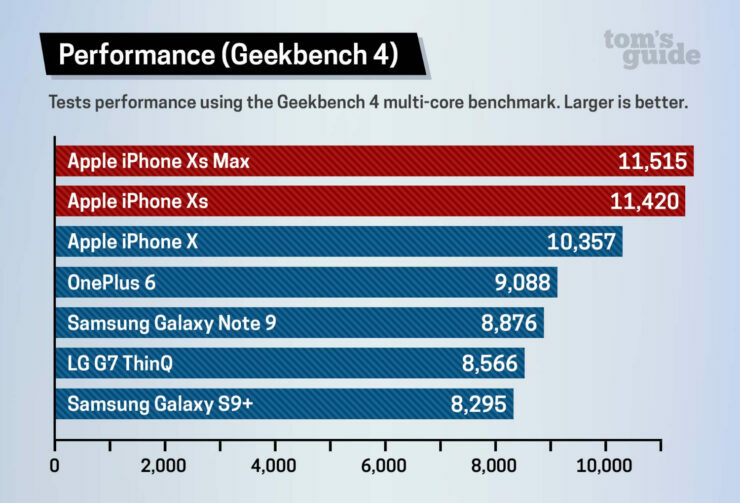 Apple’s 7nm A12 Bionic consistently scores above 11,000 in GeekBench’s multi-core tests and today’s results corroborate this fact. In addition to the computing results (which you can see above), the tests also give us a good look at the A12’s GPU. Apple’s 2018 iPhone launch event focused more on the entire SoC rather than only the A12’s CPU. The company claimed that the GPU for the iPhone XS, iPhone XS Max and iPhone XR performs up to 50% faster over its predecessors. When compared to Samsung’s Galaxy S9, Note 9 and the OnePlus 6, Apple’s iPhones demonstrate mixed performance in graphics tests. They lag behind the Galaxies and the OnePus 6 in 3D Mark Slingshot. The lead clearer for the iPhone XS in GFXBench 5.0 Aztec, with the device scoring 1,774.1 frames. However, both the iPhone XS variants lose out to the S9+ in Car Chase. The iPhones XS maintain their lead in video editing. Both the smartphones gain four seconds over the iPhone X when transcoding a two-minute Adobe Premier clip from 4K to 1080p. App load times are vastly superior to the Galaxy Note 9 across the board.